The new Academic II building includes the School of Business, and the School of Information Technology and Communication Design. 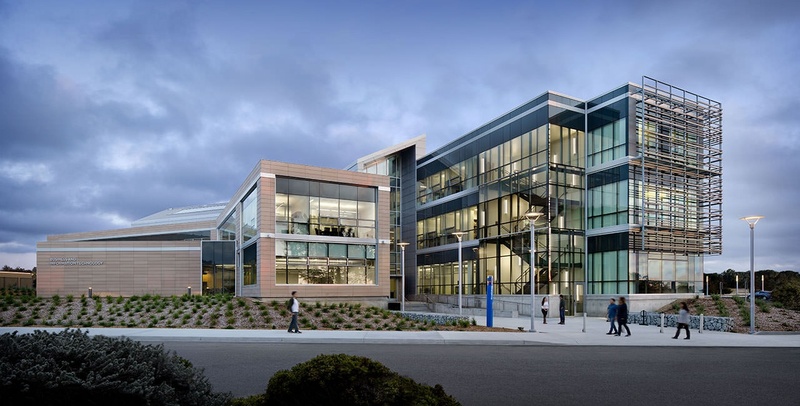 It is the first building at CSU Monterey Bay to pursue LEED Platinum. The Academic II Facility houses many functions, including an auditorium, lecture classrooms, a telecom and computer lab, private and open offices, meeting space, and workrooms. It is the first building to incorporate radiant heating and cooling combined with natural ventilation and dedicated outside air.